Mian Javed Iqbal is one of the renowned industrialist and Chief Executive Officer of Sitara Energy Limited and on directorship of the company since 1991. He holds Masters in Business Administration degree from University of the Punjab Lahore. He has also served as former President of Faisalabad Chamber of Commerce & Industry (FCCI). 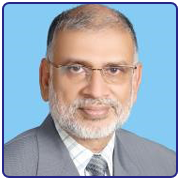 He is serving as Chief Executive Officer of Sitara Fabrics Limited, Sitara Chemtek (Private) Limited,Sitara International (Private) Limited, Lyallpur Fabrics (Private) Limited,Sarosh Abdullah International (Private) Limited, Sitara Builders (Private) Limited, SA Pharmaceutical (Private) Limited, LCM (Private) Limited and Sitara Infotec (Private) Limited. He is former director of Sitara Chemical Industries Limited, Sitara Textile Industries Limited, Sitara Peroxide Limited and Sitara Enterprises Limited. 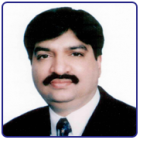 Mian Abdullah Javed is serving as director of Sitara Energy Limited. Rana Muhammad Arshad Iqbal is serving as IndependentDirector of Sitara Energy Limited and chairman Audit Committee. He is also Chief Executive officer of "DieZel Group of Companies” serving the Marine and Power Industry of Pakistan since late 90s. Mrs. Haniah Javed is serving as director of Sitara Energy Limited and member audit committee. She holds Bachelor of Business Administration (BBA) degree with high distinction from University of Toronto Canada. She also holds Certified Director certification from Institute of Chartered Accountants of Pakistan. Mrs. Noureen Javed is serving as Chairperson of Board of Directors of Sitara Energy Limited and member Human Resource and Remuneration committee. She holds Masters of Business Administration (MBA) degree from The University of Punjab. She holdsdirectorship of the company since 1994.